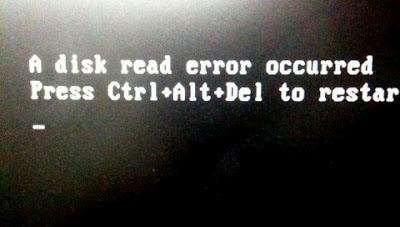 What kind of disk read error crashes the system and requires a restart? That happens when the only bootable disk has a read error. There are no other boot options, so the system asks you to restart.